I thought about Lee Hollander while returning to the US via Reykjavik. Professor Hollander lived across the street from the house that three law students and I rented for a year while attending the University of Texas in Austin. He was 88 years old then, but still very fit and active. He would walk to campus every day, a distance of a mile and a half, when many younger residences insisted on driving. He received many honors for his translations and studies of Scandinavian literature, including being made Knight of the Order of the Icelandic Falcon. 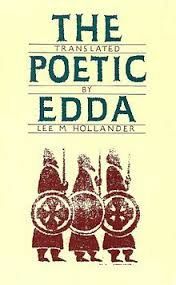 One book I treasure is his translation of the the Poetic Edda, a collection of Old Norse poems, which were preserved in the Icelandic 13 C manuscript Codex Regius. Hollander lost his academic job during WWI because he was a German teacher. In 1920, after the war, he came to the University of Texas, and contributed there for the rest of his life. 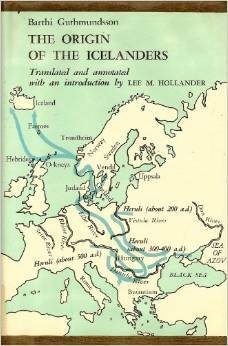 Hollander was forced to retire officially because of old age during the year that I was born, but he continued his research and teaching of Germanic studies, publishing many works on Old Norse and translations of sagas. His work continued until after I had received my PhD and left the University. He died on his way home from the campus on October 19, 1972. This entry was posted in Uncategorized and tagged Iceland, language, literature. Bookmark the permalink. ← Is Blanc the center?